By Captain Shem Malmquist Please also see my book, written with Roger Rapoport, available via the following link: “Angle of Attack“. You are on approach with convective weather in the area. Lightning is present, and you can see the storm in front of you has some lightning in it. You are in the “conga line”, and aircraft are landing in front of you with no problems. Your radar is showing just light to moderate rain between you and the airport. Will you continue the approach? On August 2, 1985, Delta 191 approached the DFW area[i]. The ATIS described the weather as benign, scattered clouds at 6,000’, 10 miles visibility and calm wind. There were scattered thunderstorms in the area, and the flight made a few deviations accordingly. 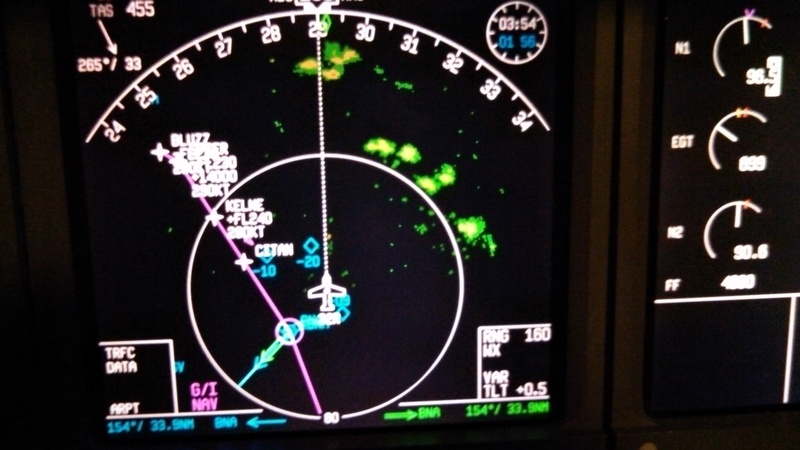 At 1756 CDT, ATC transmitted that “…there’s a little rainshower just north of the airport…”. The Delta 191 crew told ATC they were at 5,000 feet at 1800. At 1802 they were 6 miles from the outer marker. At 1804:18 the first officer stated that there was lightning coming out of the cloud in front of them. They reached 1,000 AGL at 1805:05, and the aircraft crashed at 1805:58. During this same time period, NWS radar showed a level 3 cell off the end of the runway at 1756, which had intensified to a level 4 cell by 1804. But what did the crew see on their radar? Where do you set your radar tilt control on approach? If you’re like most pilots, it is likely that your radar is set to less than 5 degrees nose up. A tilt setting of 5 degrees nose up will place the radar beam at 5,000 feet above your altitude at a distance of 10 miles (the beam moves 1,000 ft/degree at a distance of 10 miles). On final, that means that most aircraft will be scanning the weather between themselves and the airport that is below 10,000 feet. If you are flying an aircraft with the “auto” setting, odds are that you are leaving it in “auto”. What altitudes is it scanning? If you do not know the answer, a review of the system manual might be worthwhile. Doctor Fujita, who created the tornado scales, also did a significant amount of research on microbursts. What he found was that during the building stages of a thunderstorm extreme updrafts can literally hold the rain at relatively high altitudes (15-20,000 feet). Eventually the water gets so heavy that it overcomes the updraft and it essentially dumps. It is not unlike one of those big buckets at a water park that eventually reaches the point where it is full enough to tip over and dump its contents. The column of water is now falling downwards rapidly, and as it encounters warmer air, starts to evaporate. The evaporation causes cooling, which further accelerates the vertical column of water and air. It eventually hits the ground and fans out – a classic microburst. Modern Terminal Doppler Weather Radar (TDWR) and Predictive Windshear systems will detect the event when it starts to fan out. Both of those systems are designed to measure horizontal (x-axis) wind shifts. However, they will not “see” the column of water when it is still suspended in the updrafts or when it first starts downwards and has not started to fan out. NASA contracted with MIT’s Lincoln Laboratory to conduct a study of aircraft thunderstorm penetrations in the terminal area. [ii] The study found that flight crews were regularly penetrating severe storms, and the only reason we do not have more accidents Is chance. The probability of a microburst occurring over the close in final approach course of an airport while an aircraft is there is very low. Pilot training as well as TDWR and PWS have led to crews avoiding those microbursts that were in the mature stage. However, there is little or no protection against crews flying under the rapidly falling column of water that has yet to start fanning out. Our radar training and the wind shear systems do not address this type of scenario. To combat this, consider varying the tilt control. If you tilt the beam upwards to the maximum limit and get a red return, but find that the return is showing much less precipitation at lower altitudes, that might be an indication that something is, literally, “up”. There are only a handful of possibilities that would lead to this. One, as has been described, is that the water is (or was) suspended up high due to updrafts – meaning that at some point gravity will win that tug of war. The second might be VIRGA. That will show rain above, but below it is going to dry out. The last might be hail, where wet rain up higher is freezing, so not showing on your radar when you are scanning the lower altitudes. Any of these can be a bad scenario to fly into, so if you see that, be very aware and consider all the indications you are seeing. Proceed with caution. Consider asking ATC what they are depicting and pay close attention to any secondary indications of hazards. Delta 191 encountered storm that was developing significant weather at higher altitudes, which, once reaching critical mass, would essentially dump the rain downward, along with the significant wind, which would doom the flight. At 1800 CDT, and 5,000’, the flight was about 20 miles from the airport. If, like many crews, they had their radar tilt less than 5˚ nose up, they would be viewing weather at around the 15,000 foot range. It is probable that this was not high enough to detect the severity of the storm at that time. Tilting the radar higher would have yielded the storm’s deadly secret of having a lot of moisture up high, and little down below. The recipe for a microburst. What if you’re already in the rain and your radar indications are limited? Unlike airborne units, ATC radar can power through the strongest precipitation without attenuation can be of value if you’re not sure what might be on the other side of the radar echo you’re seeing. The aircraft radar runs about ten times the frequency of ATC radar, and it is much less powerful (peak outputs 150 watts vs. the 25KW range). This means that our airborne radar attenuates easily. On the plus side, though, our higher frequency allows the airborne system to “see” smaller water droplets and provide more definition than what ATC can get. We also can focus it to get an idea of the vertical development of the weather. We want to look for weather that is extending vertically into the flight levels. Use the tilt formula, and find the altitude where the bottom of the beam is first hitting the weather. If you are at FL200 and the bottom of the beam is hitting weather aligned with your altitude, you are probably looking at convective weather. If you are at 10,000’, you will want to rotate it upwards. Let’s assume the weather is 50 miles in front of you. If you are hitting weather with the bottom of the beam 2˚ above level, you are seeing something that is extending up to 20,000’. If you are 30,000’, you will want to tilt it down to ensure that you are capturing the weather. The reason is that the precipitation at FL300 will likely be frozen, and may not be picked up by your radar. Momentarily turning your gain off theCAL position might help with this, but frozen precip just does not reflect very well. It is, therefore, very important to remember that just because you are not showing precipitation at your altitude, that does not mean that you do not have severe weather at your altitude. The rain shaft might stop at FL 250, but the severe weather may extend thousands of feet above that, and just not be reflecting due to it being frozen. Our airborne radar has an advantage where we can get a lot better definition and see gaps that are appearing at our altitude – just be cautious to ensure that the gap is not just a dry pocket within a storm. We lose that advantage, however, if we are flying along in the teens in an area of general heavy rain. In this scenario our radar is likely to just depict precipitation in a solid arc of weather across the display. It can be just a little better than useless. If you find yourself in this situation, flight planned to fly at 10-15,000 feet, stuck in the rain, another strategy might be to continue up to the lower flight levels, to a point that you are out of the rain and able to utilize the airborne weather radar. Another choice, and an equally valid one, would be to request ATC’s assistance in this scenario. ATC will not be faced with the attenuation issues, and should be able to identify areas of more intense weather. As previously stated, you might consider asking Center to toggle their display to only depict the weather FL 240 to FL330, as anything that was depicting at that altitude is very probably significant convective weather. ATC weather depiction ability in the U.S. has improved greatly since Delta 191, but one thing that has not changed is the ATC primary function of separating known traffic. Telling us about the weather is not ATC’s primary responsibility, but controllers do want to help where they can. 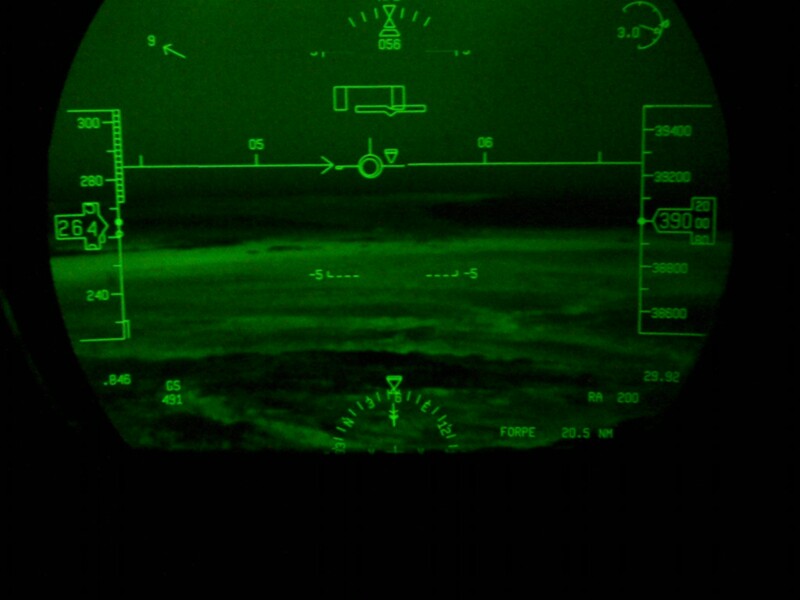 Many controllers are not aware of the limitations of our radar displays, and they are also limited by their equipment and FAA legal has placed additional limitations on what they are, and are not, allowed to tell us. Through understanding of what they can depict, we can directly request the information that we need. This entry was posted in Safety and tagged Malaysia Airlines Flight 370 Airline Safety Investigators Shem Malmquist thunderstorm Accident microburst windhsear weather radar. Bookmark the permalink.